In this immersive installation, Christina A. West integrates figurative sculptures into a space that is suggestive of a house, playfully alluding to the idea of the home as a stage set. “Stage left” is a term used in theatre to direct actors as they move around the stage. Though a term traditionally used to orient, it is used here as a foil to highlight the viewer’s disorientation within the fabricated space, while reinforcing theatrical associations with the installation. As people move through the gallery, spaces recede and reflect, sometimes offering a glimpse into another room, sometimes reflecting back the space one is in, and occasionally reflecting a reflection. Additionally, exposed studs on one side of each wall create a sense of front and back (or stage and backstage) that shifts throughout the gallery. Objects such as sheets, blinds, and picture frames conjure the context of the home, charging this “stage” with a sense of a private space. As viewers bend, squat, and peek around corners to view tableaus, their own reflections appear throughout the space highlighting their participation in the scenes. For his film installation at The University of Tennessee Knoxville’s Downtown Gallery, in conjunction with the 2018 Big Ears Festival, Los Angeles based collage film artist Lewis Klahr will present a looped, rotating selection of his films that explore the vicissitudes of time and memory. Lewis Klahr uses found images and sound to explore the intersection of memory and history. He is primarily known for his uniquely idiosyncratic films, which he began creating in 1977 and has screened extensively in the U.S., Europe and Asia. Lewis Klahr teaches in the Theater School of the California Institute of the Arts and is represented by The Anthony Reynolds Gallery, London. This exhibition of drawings and paintings explore linear patterns that operate in a pictorial space. Utilizing random shapes and biomorphic forms within an intricate network of drawing, collage elements, and subtle color, Morgan's work ranges from highly patterned organic painting compositions to meticulously articulated and somewhat minimal collage-drawings. A native of Philadelphia, PA, Clarence Morgan has been a professor in the Department of Art at the University of Minnesota since 1992. Every day, Knox County art teachers devote their time and energy to cultivating creativity and critical skills in their students. 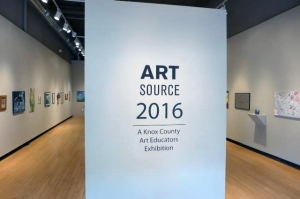 For more than a decade, ARTSOURCE, the exhibition dedicated solely to Knox County art educators, has given these same teachers an opportunity to nourish and showcase their own artistic talents. Kimberly D. Iles was known for her vivacity, generosity of spirit, and passion for the arts. She graduated with honors from the University of Tennessee in 1990, earning a Bachelor of Fine Arts degree. As a graphic designer, she poured her talent and energy into her work for clients ranging from Oak Ridge National Laboratories to the White House tech corps, and started her own very successful design firm, Ilesnet Design. She designed a web-based textbook – the first of its kind – for the Computational Science Education Project, a K-12 educational program to teach the principles of high-performance computing. She later transitioned into a full-time career in fine art, exhibiting her paintings and photographs in juried shows around the world. Iles and her husband, Dr. James J. Hack, established the Kimberly D. Iles Art Scholarship Endowment in 2015. The endowment supports multiple scholarships awarded annually to undergraduate students in the School of Art. The UT Downtown Gallery is pleased to present an exhibition of work by Ben Seamons. Ben received his MFA in Painting from the University of Tennessee in 2012. He passed away in 2016, and this exhibition is in celebration of his life. Sculptor Chakaia Booker fuses ecological concerns with explorations of racial and economic difference, globalization, and gender by recycling discarded tires into complex assemblages. Booker began to integrate discarded construction materials into large, outdoor sculptures in the early 1990s. Tires resonate with her for their versatility and rich range of historical and cultural associations. Booker slices, twists, weaves, and rivets this medium into radically new forms and textures, which easily withstand outdoor environments. 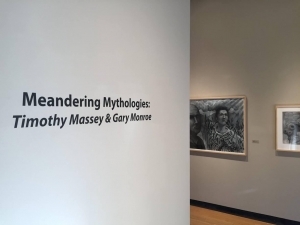 Meandering Mythologies is a two-person exhibition featuring the work of Timothy Massey and Gary Monroe. Timothy Massey is the associate professor of art and chair of the Art Department at SUNY Brockport. He also serves as the director for the Tower Fine Art Gallery at SUNY Brockport. He studied printmaking and drawing at the University of Tennessee and Ohio State University. Gary Monroe is an artist from Knoxville, Tennessee who has exhibited nationally since the 1980’s. Most recently Monroe’s work has been featured in one-person exhibitions at the Estel Gallery, Nashville, TN, in 2011; the Clayton Center for the Arts at Maryville College in 2011; the Leu Art Gallery at Belmont University, Nashville, TN in 2009; and the Cue Art Foundation, New York, NY, in 2006. Ball State University Glick Center for Glass opened in fall 2011 and this relatively new program has made significant grown and national recognition with the support of fellow educators and artists using this medium. 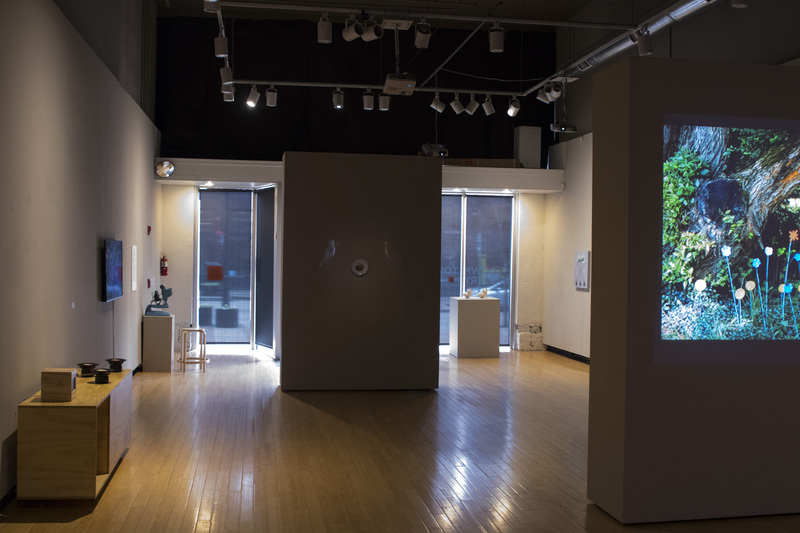 Joining Ball State University faculty and students in this exhibit are Jonathan Chapman and Kristin Thielking from the University of Wisconsin, Stevens-Point, and Eoin Breadon from the University of Wisconsin, River Falls. It is through the intersections of Ball State University's students and their mentors that the glass program is evolving from its regional prominence to national recognition. The glass program, and the Glick Center for Glass at Ball State marks a return of glass production to Muncie. The university gets its name from the Ball brothers who had a food storage manufacturing business in New York and Muncie that made sealable glass jars for home canning – colloquially known as ball jars. In the 1880s glass manufacturing was moved from New York to Muncie due to an abundance of natural gas in the area. By 1917, the brothers had bought the foreclosed Indiana Normal University and gave it to the state of Indiana, creating what would become Ball State University. With a sense of place and historical research, Kevin Jerome Everson's films combine scripted and documentary moments with rich elements of formalism. The subject matter is the gestures or tasks caused by certain physical, social-economic, and environmental conditions in the lives of working class African Americans and other people of African descent. Instead of standard realism he favors a strategy that abstracts everyday actions and statements into theatrical gestures, in which archival footage is re-edited or re-staged, real people perform fictional scenarios based on their own lives and historical observations intermesh with contemporary narratives. The films suggest the relentlessness of everyday life—along with its beauty—but also present oblique metaphors for art-making. This exhibition is in partnership with The Public Cinema and Big Ears music festival. Alison Saar weaves narratives relating to the Great Mississippi Flood of 1927 into the mixed-media sculpture and paintings featured in Breach. Saar explores issues of gender, race, racism, and the African diaspora. She mines mythology, ritual, history, music, and her biracial heritage as sources for her work. During a 2013 residency at the Joan Mitchell Center in New Orleans, Saar was dismayed to see how little had been done to rebuild African American communities devastated by Hurricane Katrina eight years earlier. Upon her return to Los Angeles, she began researching the histories of American floods and the effect on African Americans. The Great Mississippi River Flood of 1927, described as one of the worst natural river disasters in U.S. history, piqued her interest. Heavy rains resulted in the river breaching levees, creating a historic catastrophe that had a profound impact on the life of African Americans living in the Mississippi Delta. The flood exposed the conditions of poor African American sharecroppers and tenant farmers and their relationship with cotton plantation owners. The flood also resulted in social, cultural, federal policy, and political changes. 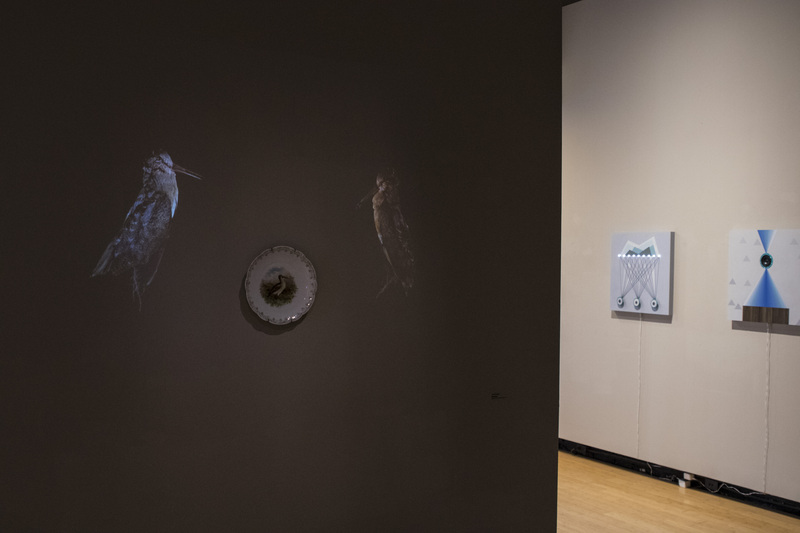 With water imagery woven throughout, Breach is the culmination of Saar’s creative research on American rivers and their historical relationship to the lives of African Americans. Through mixed media sculpture, paintings, and works on paper, she explores floods not only as natural phenomena; but also the complex interaction of social, cultural, and political factors associated with flooding and its aftermath. Every day, Knox County art teachers devote their time and energy to cultivating creativity and critical skills in their students. For more than a decade, Art Source, the exhibition dedicated solely to Knox County art educators, has given these same teachers an opportunity to nourish and showcase their own artistic talents. The UT Downtown Gallery is pleased to present Living On an exhibition of 24 portraits of holocaust survivors and liberators living in Tennessee by Robert Heller. Heller, a professor in the School of Journalism and Electronic Media at the University of Tennessee since 1986, received his B.S. and M.A. degrees in photojournalism from Syracuse University. He taught photography and graphics for five years at the University of Miami, and was publications designer and photographer at the State University of New York College at New Paltz, and Elmira College in New York. Heller also taught photography at The Center for Photography at Woodstock, New York. His photographs have been selected for numerous juried exhibitions and he continues to do freelance work in both graphic design and photography. Living On is a project of the Tennessee Holocaust Commission, which is funded by an annual appropriation from the Tennessee State Legislature and by private donations. Assistance in the development of this documentary project was provided, as well, by the Conference on Jewish Material Claims Against Germany, Inc. The traveling exhibition was curated by Susan W. Knowles. Reprocessed is an exhibition of art by three Knoxville artists who use found imagery and materials to create their unique pieces. The UT Downtown Gallery is pleased to display woven work by Judi Gaston and mixed media pieces by Kelly Hider and Beth Meadows. Judi Gaston recalls as a child poring over books with photographs of exotic places. Now she seizes every opportunity to visit far away lands – Kenya, India, Peru, the Amazon Basin, Australia, Samoa… She tries to incorporate some of the contributions that these cultures have made, blending them in new and distinctive forms using old buttons, beads, patching, knotting and embroidery techniques in her woven clothing. Along with her wearable fashions, she also designs a recycled wearable art series. She likes making wearables that have a history of having lived previous lives. Beth Meadows‘ artwork is inspired by fashion and design, folk art, children’s books, and the strength, confidence, and beauty of women. She lives and works in Knoxville, Tennessee. Kelly Hider was raised in Rochester, NY. She received her BFA from SUNY Brockport in 2007, and an MFA from the University of Tennessee in 2011. She is a founding member of the Vacuum Shop Studios, where her studio is currently located, and is Co-Chair of the Dogwood Regional Fine Arts Exhibit. Hider is the Gallery Coordinator at Arrowmont School of Arts and Crafts and resides in Knoxville, TN. 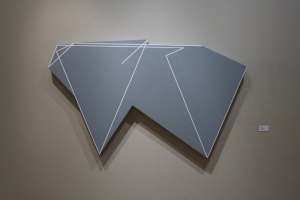 Dual Current: Inseparable Elements in Painting and Architecture, curated by Gabriele Evertz, examines the relationship between painting and architecture in a contemporary context through color, shape, and theory. The artists whose works are featured in this exhibition are: Josef Albers (American, born Germany, 1888–1976), Matthew Deleget (American, born 1972), Peter Dudek (American, born 1952), Cris Gianakos (Greek-American, born 1934), Michelle Grabner (American, born 1962), Lynne Harlow (American, born 1968), Changha Hwang (Korean, born 1969), Russell Maltz (American, born 1952), Rossana Martinez (Puerto Rican, born 1969), Kristine Marx (American, born 1969), and Manfred Mohr (German, born 1938). 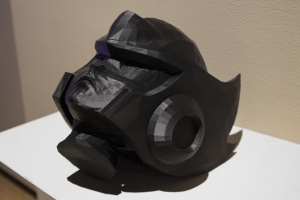 Their works link three-dimensional space and the picture plane to create radical new forms. Morehshin Allahyari is an artist, activist, educator, and occasional curator. She is the recipient of the leading global thinkers of 2016 award by Foreign Policy magazine. Morehshin was born and raised in Iran and moved to the United States in 2007. Her work deals with the political, social, and cultural contradictions we face every day. She thinks about technology as a philosophical toolset to reflect on objects and as a poetic means to document our personal and collective lives struggles in the 21st century. Morehshin is the co-author of The 3D Additivist Cookbook in collaboration with writer/artist Daniel Rourke– (published on December 2016 online in 3DPDF format and in print by the Institute of Networked Cultures). 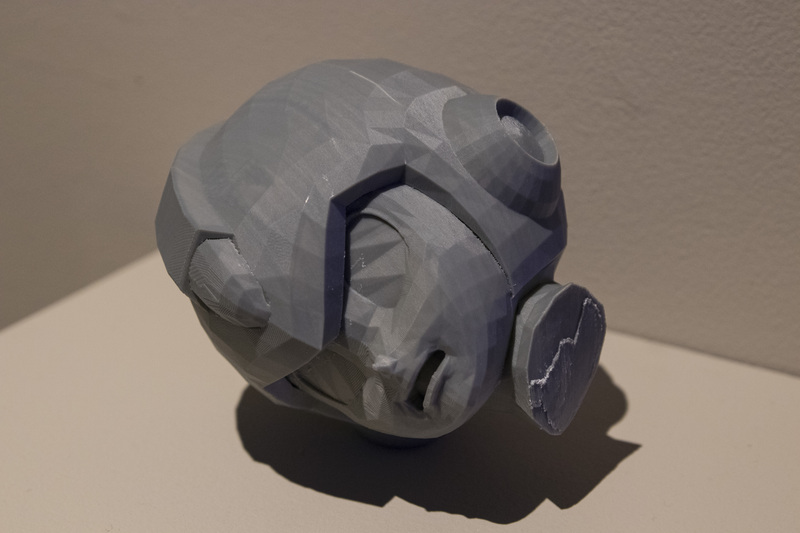 Her modeled, 3D-printed sculptural reconstructions of ancient artifacts destroyed by ISIS, titled Material Speculation: ISIS, have received widespread curatorial and press attention and have been exhibited worldwide. 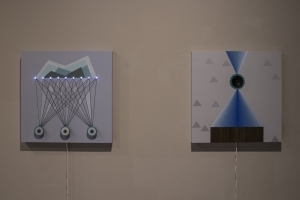 An exhibition of work by 4 professors from the University of Tennessee School of Art: Emily Bivens, 4D; John Kelley, 4D, Mary Laube, painting; and John Powers, sculpture. The exhibition featured a large selection of “Rosy’s Diner” cartoons as well as a variety of subjects and themes from the past two decades. Charlie Daniel came to Knoxville in 1958 as the editorial cartoonist for The Knoxville Journal. He moved to the Knoxville News Sentinel in January 1992 and has been the editorial cartoonist here ever since. Larry Brown is a painter who has taught drawing in the Cooper Union School of Art Since 1991. He received his Bachelor of Arts degree from Washington State University and his Master of Fine Arts degree from the University of Arizona. Larry’s paintings and works on paper are based on concerns with relative relationships between science and nature. His most recent work is defined by a geo-political narrative focused on ecological and geological tensions related to the environment and climate. 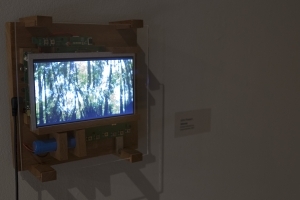 Allison Berkoy presents recent works in video, electronic sculpture, and interactive installation. 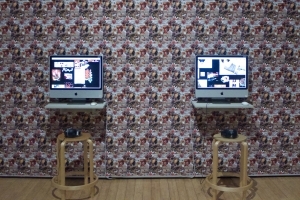 The exhibition features performances by tea cups, a cockroach, a clock, projected actors, computer algorithms, and more. Jonathan Lukens employs design as a means of understanding and explaining relationships beyond the visual. 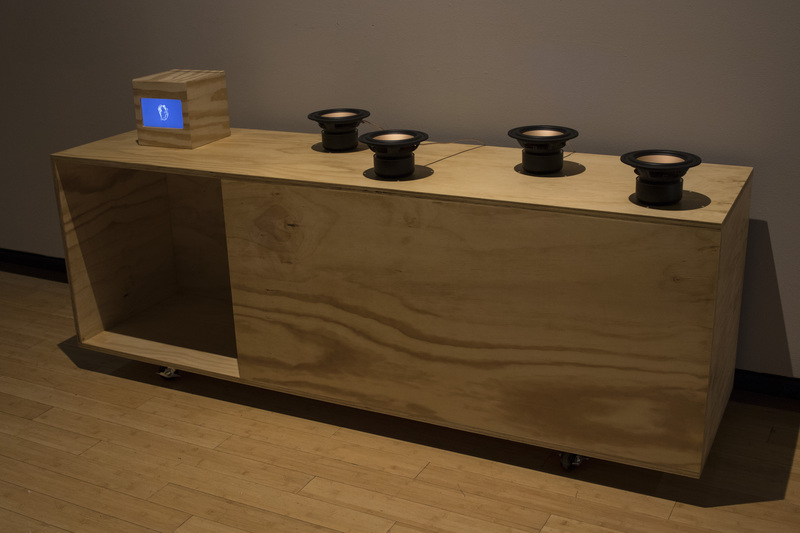 This exhibition presents time-based visualizations of particulate matter data recorded at an air monitoring station near Pearl Place and Stewart Street in Knoxville. Particulate matter is a term for airborne pollution in the form of very small particles which can pass through the throat and nose and enter the lungs. 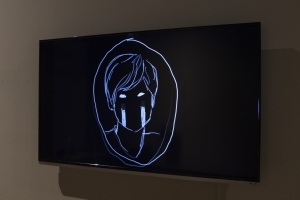 Artist Shambhavi Kaul premiered her latest video installation, Modes of Faltering, at the UT Downtown Gallery as part of a special exhibition in collaboration with the Big Ears music festival. Kaul's work has been exhibited in galleries and on the film festival circuit, including the Toronto International Film Festival, the Berlinale, the New York Film Festival, the London Film Festival, Rotterdam, the Edinburga International Film Festival, Internationale Kurzfilmtage Oberhausen, the Ann Arbor Film Festival, and the Shanghai Bienniale. In 1942, the Army Corps of Engineers relocated James Edward Westcott to Oak Ridge, Tennessee, and assigned him the task of official photographer for the Manhattan Project - a massive wartime effort to produce the first atomic bomb. As secrecy of the project was paramount, the "atomic" city was fenced, and communication with the outside world was limited. What is more, no cameras were allowed inside its boundaries. Thus, Westcott became not only the official photographer for the Manhattan Project, but he also became the sole photographer of the social and recreational events of Oak Ridge. It is only through Westcott's photographs that the visual history of Oak Ridge can be appreciated. 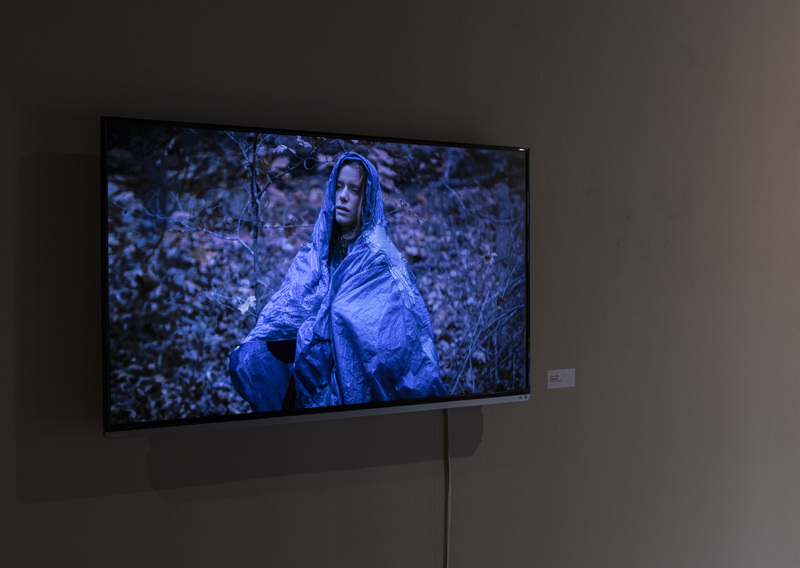 Top Soil: Body Farm is an exhibition of the incoming class of 2019 MFA students. The exhibition includes, Printmaking, Transmedia & Design, Painting, Sculpture, Ceramics and installations. These student artists have chosen UTK School of Art as their home for the next three years to complete their Master of Fine Arts Degree. The exhibition highlights their current work and their artistic accomplishments prior to arriving at the University of Tennessee. Artists included in the exhibition are: Katie Gentner - painting and drawing, University of Wisconsin, Parkside; Eric Hines - painting and drawing, Ohio State University; Miles Ingrassia – printmaking, OCAD University, Canada; Holly Kelly – sculpture, Massachusetts College of Art & Design; Cara McKinley – ceramics, Florida Atlantic University; Rachel Sevier – ceramics, Southeastern Louisiana University; Mengmeng Shang - Transmedia Design, Communication University of China; Lila Shull – printmaking, Winthrop University; Baxter Stults – printmaking, University of Alabama, Huntsville; Michael Tracy - painting and drawing, University of Iowa. UT Downtown Gallery is pleased to present, Fired Up! UT Collects Ceramics, a collection of work from the Ewing Gallery permanent collection as well as from private collections of professors, staff and community members. An exhibition of new and recent works by artist Jessica Ann entitled; Guts Coming and Going. 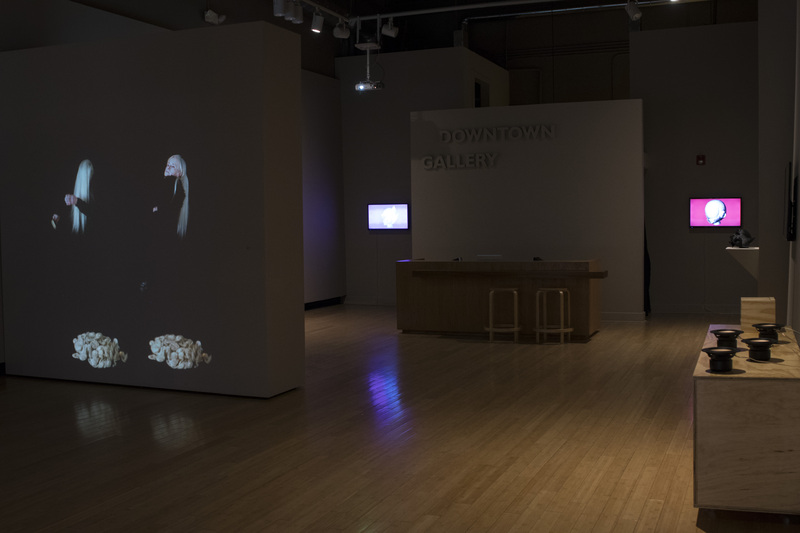 Featuring video, sculpture, and interactive installation, the exhibition explores the material potential at the edge of the world wide web. Composed of many parts, each component is networked together by Ann’s desire to meet what she calls the “aggregate monster.” An entity lurking and learning amidst the ever cooled data banks of your external and eternal memory. Data siphoned daily among a trillion other self published transmissions, happening across facebook, text messages, phone calls, emails, twitter, cameras, and networked refrigerators. What fabulation might emerge among all this noise is presented here as objects and subjects oozing off the grid and into mixed reality. The UT Downtown Gallery is pleased to present a selection of sketches and lithographs from the Ewing Gallery Permanent Collection. On display are working and finished sketches and print portfolios from four illustrators working during the “Golden Age” of illustration. The four men whose works you see here, worked tirelessly drafting ad campaigns, illustrating children’s books, comic strips, and covers for weekly publications, such as The Saturday Evening Post. The Ewing Gallery is fortunate to have acquired many of these works through generous gifts to the gallery. The 4 drawings on display by F.R. Gruger were given by his son, F.R. Gruger Jr.. The sixteen lithographs illustrating scenes from Mark Twain’s Huckleberry Finn and Tom Sawyer were given by Harold Shaw. Many of the illustrations by Walter Haskell Hinton were given by his son, Ray Hinton and later by his children as part of Ray’s estate. The illustrations and prints by Harrison Cady were gifts of David Eldredge, a nephew of Cady. We hope you enjoy this opportunity to see the works of these four illustrators from the Ewing Collection exhibited together for the first time. Take time to notice each artist’s unique illustration style and choice of media. The work in this exhibition explores the non-objective and propositional quality that sculpture can have, and the ways in which we can understand something devoid of specificity and illustration. Presented on custom-built risers and linear structures, individual components are often physically or conceptually networked together with arrangements of objects ranging from the random and chaotic to the precise and articulate. Through careful positioning and intentional framing the works are suggestive of abstracted models and diagrammatic systems that allude to a sculptural logic that is both pragmatic and allusive at the same time. Ruth Weisberg has been an important influence on printmaking both as an artist and educator. Her creative activity and scholarship encompasses not only studio production in printmaking, painting, and drawing, but central and influential articles, essays and book chapters that have played a vital role in advancing print theory. Her 1986 essay “Syntax of the Print” published in the Tamarind Papers is frequently assigned to students in printmaking programs and remains relevant almost 30 years after it was first published. As one of her nominators, Mark Pascale, Associate Curator of Printmaking at the Art Institute of Chicago, praised not only her work as a printmaker and draftsman, he also emphasized her writings as an important contribution to the field of printmaking. Ruth Weisberg is 2015 recipient of the SGC International Printmaker Emeritus Award. The three works on display express my desire to distill and undermine normative expectations about which behaviors and expressions are appropriate for whom. A choreographic example can be found in Presumptuous?, an ongoing video series shot in cities around the world which disrupts the codes of urban co-existence by inserting hyper-intimate and often queer interactions into public space. 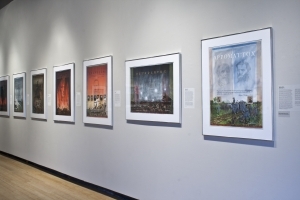 Richard J. LeFevre's Civil War Series presents the history of the War Between the States (1861 – 1865) through works on paper that depict 32 of the war's most significant battles. By combining his love of history and his skill as an illustrator, LeFevre used inventive mixed-media techniques to create these powerful images inspired by his personal investigation into that terrible and definitive era. The Land Report Collective deals with landscape in fundamental ways and as a foundational reference point. Brown considers the politics of mountaintop removal in his construction of objects and installations while also creating playful formal assemblages. Jobe crafts meeting places for public interaction through the delineation of pathways and works with brick and wood. Jones responds to desert environments with experimental interactions, model scale sculpture, and large scale outdoor works. Kikut incorporates a lifelong interest in the horizon line in a series of paintings with flat Midwestern landscapes as his muse. Shadwell views the landscape from a non-traditional lens, responding to ephemeral images from highway road cameras, monumental mining operations and the optical nature of the salt flats through drawing, sculpture and video installation. Life in Light is an exhibition of paintings inspired by the poetry of local doctor, Humayun Kabir. Dr. Kabir's poetry has been transformed into image by Bangladeshi artist, Mostafiz Karigar. Our hardworking staff members step out from behind the scenes and exhibit what they work on when they're not at work. Media and subject matter were not stipulated at the outset of this exhibition. The pieces on display, therefore, represent an honest 'work sample' from a talented segment of the UT community in the School of Art and College of Architecture and Design whose artistic skills might otherwise remain unrecognized outside of their duties as staff members. Lorrie Fredette creates site-specific investigations that examine beauty, harmony, and comfort to comprehend the incomprehensible aspects of infection, pandemic and the plague. Her pieces have been exhibited nationally and internationally including solo and group exhibitions in the US and Europe. Exhibition venues include Cynthia –Reeves Project (Brattleboro, VT), Art Southampton (Southampton, NY), Seton Hall University (South Orange, NJ), Bank of America Headquarters (Charlotte, NC) Mass MoCA (North Adams, MA), Cape Cod Museum of Art (Dennis, MA) and Jyvaskyla Art Museum (Jyvaskyla, Finland) Fredette holds a BFA in sculpture from the Herron School of Art / Indiana University. Cynthia-Reeves in New York represents her work. John Messinger combines elements of photography and tapestry to create large-scale, 3-dimension mixed media artworks. His body of work consists of thousands of individual 3.25” x 4.25” instant photographs assembled together to create photographic tapestries that examine the proliferation and ubiquity of the photograph in the digital age. Inspired by the notions of singularity and time, Messinger combines hundreds of varying images and transforms them into a single experience. His work fuses indexical and abstract imagery to question the notion of photography, photographer, and subject. This exhibition examines the state of contemporary printmaking in Japan, and challenges the traditional definitions of prints and printmaking. All of the participating artists received their formal training as printmakers and the production of multiples remains at the heart of their creative process. While utilizing tools and techniques of the printmaker, some of the artists now create work that has transitioned into forms that are associated with other media, such as sculpture, painting, and digital imaging. 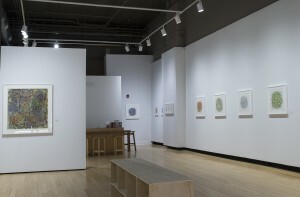 Of the selected participants, four make three-dimensional objects and installations, two paint with printmaking tools, three utilize digital photography and technology, while the others pursue traditional and recognizable printmaking techniques. Each artist will exhibit three to five works, resulting in a diverse selection of objects and images from the hands of an equally diverse group of artists, including men and women of various ages from their mid-twenties to mid-sixties. The artists reside and work in different regions throughout Japan, and the visual content of their work ranges anywhere from formal abstraction, to iterations of traditional Japanese cultural images. Co-curated by Ewing Gallery Director Sam Yates and Hideki Kimura, Chair of Printmaking at Kyoto City University of Arts, Redefining the Multiple brings the best of contemporary Japanese printmaking to the United States. Artist Mark Newport creates hand-knit acrylic yarn recreations of hero costumes, prints of the artist in costume, and carved, costumed figure sculptures. The costumes are life size, wearable objects that hang limply on hangers. They challenge the standard muscular form of the hero and offer the space for someone to imagine himself or herself wearing the costume, therefore becoming the hero. Mark is an artist and educator living in Bloomfield Hills, Michigan. He is the Artist in Residence and Head of Fiber at the Cranbrook Academy of Art. He earned his BFA at the Kansas City Art Institute in 1986 and his MFA at the School of the Art Institute of Chicago in 1991. Newport's work has been exhibited throughout the U.S., Canada, and Europe. As one of the Dogwood Arts Festival's feature exhibits, NEXUS, showcases national and international artists working in contemporary sculpture and 3-D media. 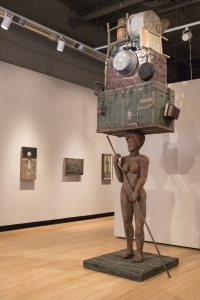 Indoor sculptures comprising all styles and genres from emerging and established artists were selected by internationally recognized juror, Allen Peterson, for exhibition at the University of Tennessee's Downtown Gallery. In partial fulfillment of their graduation requirements, students pursuing the Master of Fine Arts (MFA) degree are required to mount a solo exhibition of work, and to defend their work during an oral examination in front of a faculty committee. 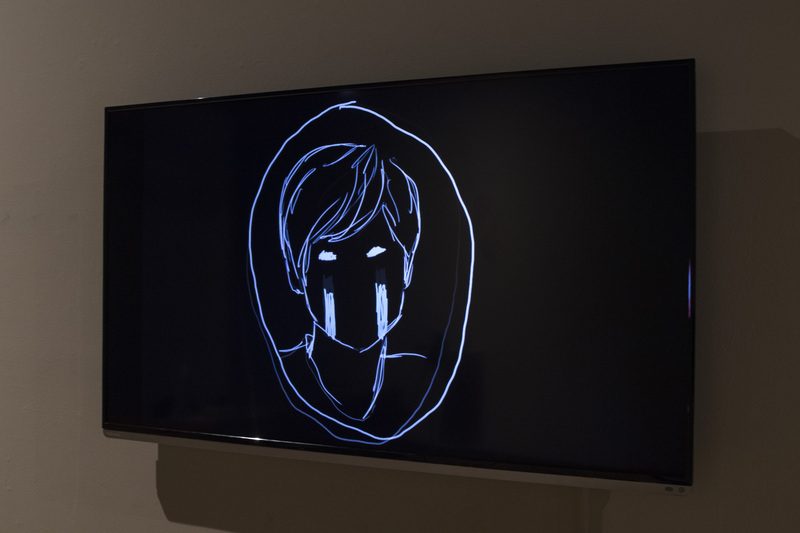 Due to the number of graduate students enrolled in the UT School of Art, these exhibitions generally take the form of small groups of students presenting concurrent solo exhibitions in the gallery space. Plein air painting has a rich international tradition, and our regional Tennessee artists are part of that continuum. Mike C. Berry, manager of the UT Downtown Gallery, and a plein air painter himself, curated this exhibition. We are grateful to the artists who have so generously allowed their work to be shared with the Knoxville Community. Please click on the links below to visit their websites and learn more about the exhibitors. The five featured artists were: Anne Blair Brown, Franklin, TN; Roger Dale Brown, Nashville, TN; Lori Putnam, Franklin, TN; Brett Weaver, Chattanooga, TN; and Dawn Whitelaw, Franklin, TN. Land Portrait features works from members of the Culture Laboratory Collective based upon their relationship with a particular place, landform, landscape, topography, or state of current residence. These pieces, when combined, serve as comprehensive land portraits. Translations of localities can act as reflections of communities continually in flux. The visual statements produced for this exhibition may provide a more complete understanding of who (and where) we are. The value of place and landscape is immeasurable. Memories from places can become etched in our minds and contextualized over time. This exhibit offers a view into a collective memory and re-locates interpretations of place into a public, conversational setting. August's exhibition featured figurative works on paper, including watercolors, drawings, photography, and printmaking. Notable works include: portraits by Chuck Close and Alice Neel, prints by Francisco Goya, Leon Golub, Kathe Kollwitz, Keith Haring, Luis Jiminez, and William Hogarth, and photography by Helmut Newton and Walker Evans. Also in the exhibition were works from School of Art professors, students, and visiting artists, past and present. These artists are, Baldwin Lee, Don Kurka, Eleanor Dickinson, Mark Steinmetz, and Joseph Delaney. A native of Philadelphia, Pennsylvania (USA), James Randolph Denton founded the Association for Creative Zoology in 1908 an effort to rebut the popularization of evolutionary theory in American public schools and universities. Working with the London publisher Everitt Ormsby Hokes, founder of Hokes Scholarly Lithography, Denton published two collections of color lithographs documenting the principle of animal hybridity, what he referred to as “zoomorphic juncture.” These were Rare Zoological Specimens and Ornithological Quadrupeds, both published in the 1920s, the second of which emulates the publications of the British naturalist John Gould. Arguing for Creation Science, Reverend Denton cited the unicorn and the dragon, each of which are mentioned in the King James Edition of the Bible, as examples of this phenomena. Denton argued that animal hybridity explained species diversity and disputed the principles of natural selection. In this exhibition, the word pencil functions simply as a metaphor or symbol for drawing and its activity. The artists selected are known for their drawing or drawing activity as their primary means of expression and have either pushed the material, process, or boundary of conventional drawing. 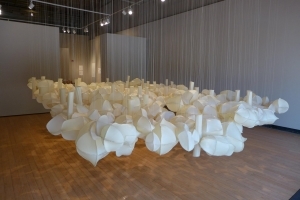 Media included video, sculpture, animation, installation, and of course, works on paper. This exhibition is neither a survey nor the definitive grouping of mark-making artists. It is more a conversation about artists who have and continue to explore these regions in drawing. The diversity of the exhibition favored mid-career artists, but ranged from emerging to late. Curated by New York artist Joel Carreiro, Based on a True Story features work by artists who use narrative in a variety of ways. This exhibition includes 2 and 3 dimensional works, as well as video projections. Matthew Garrison is based in Reading, PA; Yeon Jin Kim lives and works in New York, and Chris Miner is based in Memphis, TN. 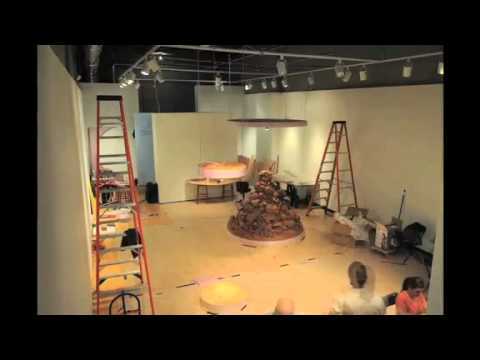 The Capstone course is a requirement for all BFA Studio Art majors. Students take Capstone in the final semester of their BFA degree. During Capstone students engage in a self-initiated research project to demonstrate that a graduating senior has learned and can practice the skills and concepts of a chosen concentration (2D, 3D, 4D). The Capstone also demonstrates the student's ability to intellectualize and articulate issues and ideas about contemporary art. Successful completion of the Capstone course is a requirement of graduation. The UT Downtown Gallery is excited to present the work of 5 graduating seniors in this year's capstone exhibition. Exhibiting students are: Sarah Crumley, Kayla Courtoy, David Holland, Bill Warden, and Catherine Widner. The UT Downtown Gallery is pleased to present Revealed, an exhibition of paintings by Pat Badt and ceramic sculptures by Paul Briggs. The paintings and sculptures share a similar modesty in size, creating an approachable and intimate relationship between object and viewer. The work is meditative in process. Lines and leaf-forms vary in length, color, orientation, and proximity to the next. It is repetitive, yet unique. This collection of work includes original drawings, watercolors, and oil paintings representing an array of clients during his prolific career as an illustrator. Some of Mr. Hinton’s clients include, Outdoor Life Magazine, Sports Afield Magazine, Mammoth Western Magazine, The John Deere and Company, Fairmont Railways, and Washington National Insurance Co.
McConnell, who is well recognized for his large-scale, unfired ceramic sculptures will work with UT art students to construct this project. 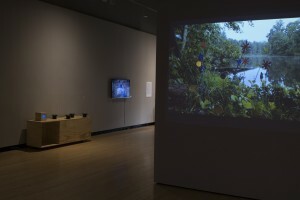 McConnell’s installations address the relationship between nature and culture – more specifically, the means through which contemporary culture constructs an understanding of nature. McConnell currently serves on the faculty at the New York State College of Ceramics, Alfred, NY. Joel Carreiro’s work organizes and recomposes small squares of imagery borrowed from Renaissance paintings, European drawings and Medieval manuscripts and transforms them into large works on wood panels that create a new visual language entirely different from its original intent. Joel Carreiro is an artist based in New York City. He has exhibited his work at the Brooklyn Museum, The Johnson Museum at Cornell University and many other galleries around the country and in Europe. He also has received grants from the City University of New York, The New York State Council on the Arts and the New York Foundation for the Arts. The UT Downtown Gallery is especially pleased to present Art of Poland, the Collection of Ambassador & Mrs. Victor Ashe during the month of April and the Dogwood Arts Festival Celebration. This exhibition includes paintings, sculpture, folk art and glass works by some Poland's leading artists working today such as Edvard Dwurnik, Stanislaw Borowski, Leszek Sokol and Michal Puszczynski among others. Victor Ashe, was mayor of Knoxville from 1987-2003 and served as the U.S. Ambassador to Poland from 2004 until 2009. Every day, Knox County art teachers devote their time and energy to cultivating creativity and critical skills in their students. For more than a decade, the Knox County Art Educators Exhibition has given these same teachers an opportunity to nourish and showcase their own artistic talents. The exhibition has greatly increased awareness of the importance of art education in Knox County. This is the Downtown Gallery’s third year to host this exhibition, which includes, paintings, drawings, sculpture, printmaking, photography and video. Exhibiting together for the First time, a selection of five UT’s Visiting Artists showcase their most recent works in the group exhibition entitled Being There. Artists included John Bissonette, Can Birand, Nick DeFord, Pam Jorden, and Michal Puszczynski. These five outstanding national & international artists will display wall-hung works alongside sculpture pieces produced within the last year. Working independently, each past or present UT Visiting Artists shows the variety of concepts and materials that drive their independent practices. Richard LeFevre taught graphic design and illustration courses at The University of Tennessee for 33 years and was the first graphic design faculty member hired by the School of Art. He continued his professional career while teaching at UT. One of his most enduring interests was the history of the Civil War. He served as President of the Knoxville Civil War Roundtable. 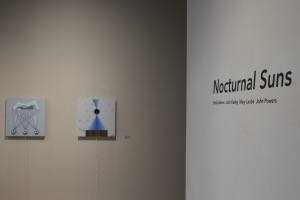 The UT Downtown Gallery is pleased to exhibit the work of our first year graduate students who are entering the UT School of Art Graduate program within their various disciplines. 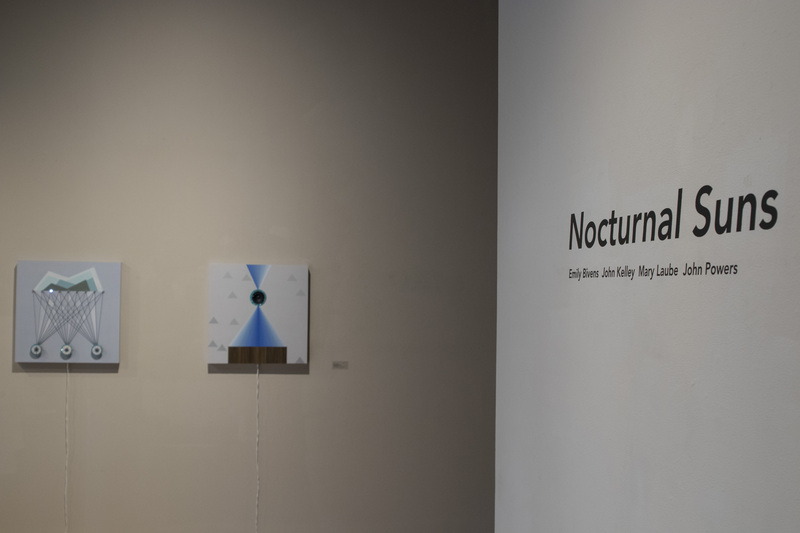 The exhibit showcases the outstanding talent and artistic visions of these new students, which includes painting, printmaking, graphic design and sculpture works. Exhibiting students were: Andrew Merriss, April Bachtel, Eric Cagley, Cierra Reppert, Daniel Ogletree, Hannah Skoonberg, Jennifer Scheuer, Jonathan Lisenby, Justin Clay, Tamra Hunt, and Victoria Buck. Mapping Sound explores ideas about the representation of space through the use of sound. If sculpture is an exploration of space through form, in these works of sound sculpture, sound becomes the primary focus of the exploration of three-dimensional space. Scott Sherk is a sculptor who often works with sound. His work has been widely shown, including his Katonah Sound Project installation at the Katonah Museum of Art and several exhibitions at the Kim Foster Gallery in New York City. He has released several collections of field recorded and manipulated sounds. The Pits is a multi-disciplinary installation and performance that investigates the political employment of sound, both in realm of propaganda and as protest, and the visual hierarchies of the architectural organization of theatre space. The orchestra is collaboration with students and faculty of the UT music department. Jazz musician, composer, and UT alum Jason Thompson will work with this group to create an 8-10 piece pit orchestra that will be conducted to perform a score that shifts from classical, triumphant marches, into the drum and flute sound of Black Power poets, through folk styles of spiritual praise, and finally into abrasive Hip Hop. Holly Zausner’s work is about transformation through mediums both literal and metaphorical. 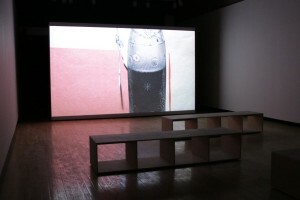 For this body of work, she has transformed Unseen, a super 16 mm film made in 2007, which was shown at the Bode Museum, into a series of black, white, and colored collages. In the film “Unseen” the artist searches through key locations and museums in the city of Berlin attempting to find metaphorical space and literal rest for two rubber sculptures, one female and one male. As Zausner and her two rubbery protagonists move through the city, a non-linear narrative unfolds. They encounter sites central to the life of the city, like a bread factory and a newspaper plant, as well as historical sites, like a defunct amusement park in the former East. In the beginning of the film, a skywriting plane spells out the word unseen about the city and the window of the artist’s gallery explodes onto the street. Airports, train stations, and large avenues are curiously empty of people, two real tigers patrol through the sculpture garden of the Neue Nationalgalerie, and the carved baroque saint statues in Berlin’s Bode-Museum seem to eye Zausner and her two companions as they move through the museum galleries. Evocative dialogues result between urban environment and art, body, and production, instinct and will, while a strong sense of displacement and unrest alternates with a sense of understanding and acceptance. Zausner’s fascination with the imagery from the film compelled her to reexamine the content and the structure of the different scenes through collage. She re-edits the film and redefines the structure, which enables a new way of looking at the source material. Using repetition and reconfiguration, the collages are a different way of exploring the act of filming, editing, and making the sound, which are all components that create the foundation and meaning of the collages. Genus species: EWING focuses on selections from the permanent collection of the Ewing Gallery of Art and Architecture. Each work of art is united by a common subject matter -- the Kingdom Anamalia. This exhibition includes art in all media -- video, sculpture, painting, printmaking, and photography. Genus species: EWING includes works by artists such as Pablo Picasso, Georges Braque, Andy Warhol, Sue Coe, Eleanor Dickinson, Walter Haskell Hinton, Salvador Dali, Mark Steinmetz, Harrison Cady, Bessie Harvey, and Ed Westcott. A number of the pieces are also by current and former University of Tennessee art professors: Clark Stewart, Paul Lee, Beauvais Lyons, Byron McKeeby, and Diane Fox. Much of the development for an artwork happens well before the brush meets canvas, the hand meets clay, or the finger meets camera, etc. These preliminary inspirations and concepts go mostly unnoticed and unappreciated. This exhibit brings to light the methods artists employ to inform themselves of the possibilities for their as yet unrealized works. Artists providing access to their journals include Fred Burton, Memphis, TN; Joseph Delaney, New York City; Gage Opdenbrouw, San Francisco, CA; Susan Kemenyffy, McKean, PA; and John Copeland, Brooklyn, NY. This exhibit was curated by Timothy Massey, Director of the Tower Fine Arts Gallery at CUNY Brockport. He is also a native of Knoxville and a graduate of the University of Tennessee. The 10th International Shoebox Sculpture Exhibition continues a tradition begun by the University of Hawai‘i Department of Art. By invitation only, this exhibition is comprised of 81 sculptures by artists from 14 countries and includes “Meta Physical #4” by Knoxville artist Richard Jolley. The small format of the works in the exhibition, with the subsequent ease and economy of handling, provides exposure to a broad spectrum of contemporary sculpture. These triennial exhibitions were initiated as an attempt to incorporate a variety of multicultural traditions and a range of sculptural ideas, styles, and materials. As geographical borders are fractured and the global context dominates, the identity of the individual often becomes hybrid. Whether defined by the artist’s ethnicity or the location of production, all art is increasingly integrated into the fabric of contemporary society. Although the act of affirming cultural identity becomes more complex, these sculptures demonstrate the imaginative spirit and endless creativity of the individual artist. he exhibition represents Dali’s visual interpretation of Dante’s literary masterpiece The Divine Comedy, chronicling Dante Alighieri’s symbolic journey through Hell, Purgatory, and Heaven. Salvador Dalí was one of the most well known of the surrealist artists who concentrated on depicting the unconscious and subconscious mind. Dalí labored for nine years to produce a series of 100 watercolors as illustrations to Dante’s classic epic, with each print depicting a verse from the poem. His paintings were reproduced by Jean Estrade of Les Heured Claires and released as a limited edition print suite in honor of the 700th anniversary of Dante Alighieri’s birth in 1265. This collection of work was generously donated to the University of Tennessee’s Ewing Gallery by UT alumnus and businessman Gary Johnson. A unique installation of video, films and multi-image performance works by Norman Magden, School of Art Professor of 4D Arts, will be on display at the University of Tennessee, Downtown Gallery from July 16 to August 14, 2010. 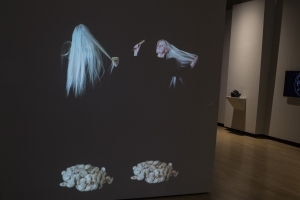 The exhibition is titled THROUGH A TRANSPARENT LENS INSIDE OUT, which refers to the time based images displayed and Magden’s focus on transparent and super imposed images to create a mesmerizing effect. The exhibition will be a quasi-retrospective in that one part will show earlier works and another section will contain more recent pieces. Magden’s work recently received first place in the Experimental Film category at the Los Angeles Movie Awards and received several Awards of Excellence for Best Director, Best Cinematography, Best Production Design and Best Costume Design. He also received First Place in the Experimental Film category in the Los Angeles Reel Film Festival with additional awards of Best Cinematography, Best Concept, Best Costume Design and Best Production Design. Other venues where his work was selected for screening include New Filmmakers (Hollywood), International Vampire Film Festival (New Orleans), Festivus Film Festival (Denver), Peoples Awards Film Festival (Quito, Ecuador), Byron Bay International Film Festival (Australia), Kansas City Film Festivaland The Rome International Film Festival (Georgia). 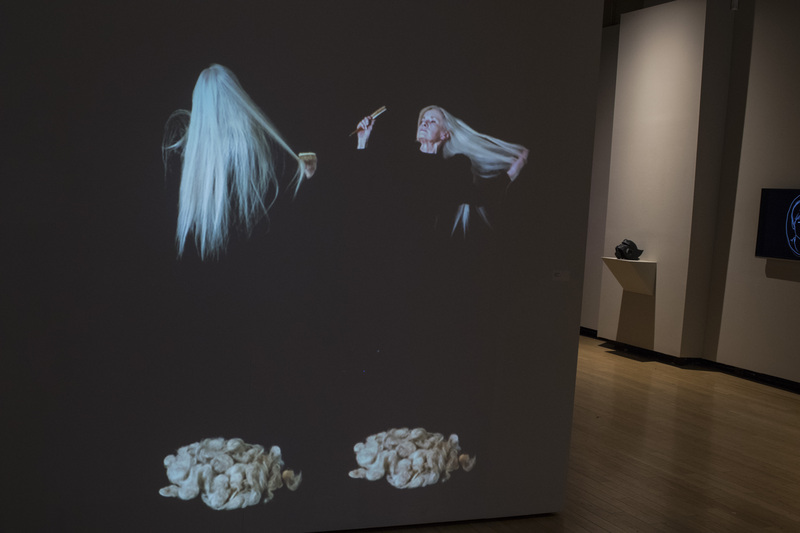 The First Year Graduate Show is held annually to commemorate the acceptance of the Student's candidacy for Graduate work at the University of Tennessee, by which the public becomes acquainted with the newest of the Fine art Graduate students. Exhibiting students were: Alex McClurg, Natalie Harrison, Brandon Donahue, Gretchen Bundy, Alex Merchant, Greg Daiker, Kelly Porter, Alicia Faciane, Hannah Short, Jessica Anderson, Ashton Ludden, Clifton Riley, Shelly O'Barr, and Neil Ward. Happens Everyday features a wall painting/installation by UT Professor David Wilson, who joined the faculty in 1985, and Chicago artist Pamela Fraser, who taught at UT during the fall semester, 1999. Everything Shines features recent paintings by UT Professor of painting Marcia Goldenstein who joined the faculty in 1976, and New York artist Julia Jacquette, who taught at UT during the fall semester, 1995. Pictures Hold Us Captive features recent paintings by UT Professor of painting Jered Sprecher who joined the faculty in 2006, and New York artist Carrie Moyer, who taught at UT during the fall semester, 2001. Like Lloyd Branson, Catherine Wiley, and his brother Beauford Delaney, Joseph Delaney was a Knoxville-born artist who gained international recognition. Inaugurating The University of Tennessee’s Downtown Gallery, Life in the City: The Art of Joseph Delaney highlights some 60 works that demonstrate Joseph’s interest in urban life – parades, public parks, architecture and street scenes. Created by Beauvais Lyons, Professor of Art and Director of the Hokes Archives at The University of Tennessee, The George and Helen Spelvin Folk Art Collection presents fictitious contemporary folk art. As the “exhibition curator,” Lyons created all the artworks and designed biographical text panels with photographic portraits of each of the 11 imaginary artists. Included are enamel painted records by Lucas Farley, Arthur Middleton’s portrait paintings of American presidents, velvet paintings of brides by Charlotte Black, Max Pritchard’s hand-painted religious tracts on cereal boxes, Rufus Martinez’s ceramic face jugs, and Lester Coleman Dowdy’s “limberjack” puppets. This irrelevant exhibition emulates folk art, and at the same time, it ironically imitates museum conventions. 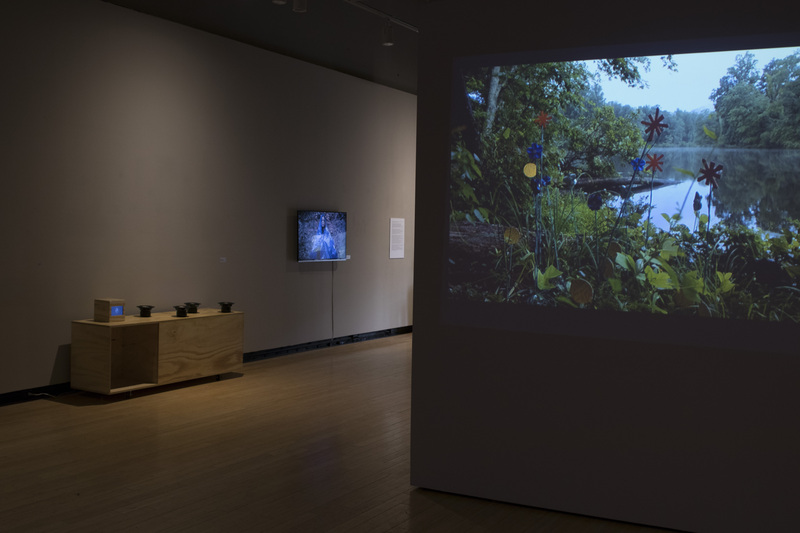 Created by Gregg Schlanger, Holston River Diaries is a two-part exhibition that links the communities of Emory, VA and Knoxville, TN – the first being near the headwaters of the Holston River and later being nears its confluence with the French Broad River, thus forming the Tennessee River. The exhibition’s second part continued at Emory & Henry College’s 1912 Gallery. Walker Evans’ photographs made for James Agee’s classic work Let Us Now Praise Famous Men served as the culmination of Evan’s talents as well as the realistic portrayal of the conditions of the American tenant Farmer during the 1930’s Depression. Walker Evans’ images revolutionized the standards of documentary photography. Thesis exhibition by Printmaking MFA Candidate, Jennifer Leach. In 1942, the Army Corps of Engineers relocated James Edward Westcott to Oak Ridge, Tennessee, and assigned him the task of official photographer for the Manhattan Project – a massive wartime effort to produce the first atomic bomb. As secrecy of the project was paramount, the “atomic” city was fenced, and communication with the outside world was limited. What is more, no cameras were allowed inside the fenced boundaries. Thus, Westcott became not only the official photographer for the Manhattan Project, but he also became the sole photographer of the social and recreational events of Oak Ridge. It is only through Westcott’s photographs that the visual history of Oak Ridge can be appreciated. Eleanor Dickinson, a native of Knoxville, TN, received her Bachelor of Fine Arts from the University of Tennessee in 1952, becoming one of the department’s first graduates. One year later, she moved to California and began redefining her process of creating traditional figure drawings via strong emotions. Since then, Dickinson has maintained a life-long commitment to the human form and has responded to intense moments of human existence, ranging from the experiences of Pentecostal Southerners, to the ecstasies of lovers, to the trials of the homeless, to the sufferings of AIDS victims. Alternative Typestyles features original art by exhibition creator Matt Tullis, including hand-drawn typefaces, unique collected fonts, and wall-mounted sculptures based on the assemblage of typographic artifacts. Individual photographic prints of vintage letterforms and signs are also featured. Over the past 40 years, the educator F. Clark Stewart has impacted the lives and maturation of countless aspiring young artists at the University of Tennessee, many former students directly credit him for their own success as professional artists and teachers. His contributions as both a dedicated teacher and a cognizant, active member of the university community are immeasurable. The goal of Mysterious Pleasures: The Art of F. Clark Stewart is, however, to celebrate the achievements and work of the artist F. Clark Stewart. The works on exhibition, as with his tenure at the university, span 40 years. As the viewer will soon recognize, Clark never strays far from his primary subject – the human figure- or his primary interest – the human narrative. Art movements, like fashion, have developed and faded with time, but Clark has remained steadfast in his commitment to figurative art and its ability to create mystery and a range of emotional responses. Since 1924, The American Institute of Graphic Arts (AIGA) has mounted an annual exhibition that recognizes excellence in book design and production. Books are entered in categories that range from trade, reference, juvenile, to university and museum publications, to limited edition and special-format books. The exhibition includes books and book covers designed between Jan 1 – Dec 31, 2004. Esteemed Jurors selected winners from more than 920 entries. Jurors included; Andrew Blauvelt, Walker Art Center, Minneapolis, John Fulbrook III, Simon & Schuster, New York, Sara Gillingham, Chronicle Books, San Francisco, Julia Hasting, Phaidon, New York and Cheryl Towler Weese (chair) Studio Blue, Chicago. MFA Thesis Exhibition: “Valuistics: The Making of” by James GreeneThe print Installation is both a display of James Greene’s valuistics as well as a printed history of the word itself. With ”the Making Of,” Greene – a former grocery store clerk and retail employee – reveals his own consumer politics (contradictions and all) by symbolizing and accounting for each of his consumer decisions. The installation is a scale re-creation of Greene’s home, family, and friends printed on pink insulation board and installed in the Downtown Gallery. The work consists of large abstract ink drawings and paintings some measuring more than 20 feet long. “Abstraction has the ability to exist in a realm of non-logic, idealism and an absence of a system. In my work I change this theoretical space into a physical image, thereby defining the gray”, says O’Mara. Three Design Students from UT were included in the American Institute of Graphic Arts National Poster Competition. 30 posters were exhibited from national and international designers. Portrait of Self is a community arts project of the Knox County after-school program Shade of Development led by artist and educator Diane Hovis. Created by African American children and adults, the drawings, prints and photographs on view will explore each individual’s sense of self. These visual works are interpretations of written responses to questions posed by Hovis and recorded in journals kept by each participant. 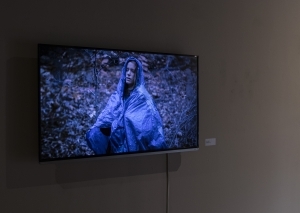 New York critic Eleanor Heartney has curated an exhibition that showcases the diversity of both art media and religious beliefs in the work of over fifty artists from five southern states, including Tennessee. This is a joint exhibition, on view simultaneously in both the Ewing Gallery on the University of Tennessee campus and the Downtown Gallery. 30 figure drawings from students at the Central Academy of Fine Art in Beijing, China. Organized and curated by UTK School of Art Professor, Tom Reising. An exhibition organized and curated by Beauvais Lyons, which includes 30 prints by Contemporary Artist from Poland working in Printmaking. Recent collaborative work by Tennessean sculptures, graduates of the UT school of Art. 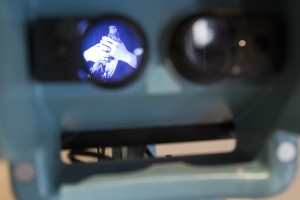 The mixed media piece consists of multiple video projections on Plexiglas suspended from the ceiling, and a white ceramic life-sized sculpture of a calf being roped around its neck. This International Traveling exhibition of small sculptures from around the world show how artists have handled the challenges of space and scale dictated by sixe of a shoebox. An invitation only exhibition, this exhibit has attracted a large number of well – known artists from Hawaii, the U.S. mainland, Argentina, Cuba, Australia, Korea, Japan, Chia, Thailand, France, Germany, Switzerland, Sweden, Canada, and Mexico. The 2006 juried selection of the best communications design produced in 2005. 365 is widely recognized as the most discerning statement on design excellence today, extending a legacy that began 90 years ago. By means of competitions, AIGA creates a chronicle of outstanding design solutions, each demonstrating the process of designing, the role of the designer and the value of design. This two-person exhibition consists of recent works by Knoxville-based painter Jean Hess and Chattanooga based painter Jeffery Morton. Hess’ work addresses dream, recollection, nostalgia and memory with an emphasis on obscure imagery, dissolving texts and marks and natural forms suffused with light. Jeffery Morton explores images of wind, electricity, twilight, humidity, photosynthesis, and pollen juxtaposed against creatures in flight. This exhibition of ceramics explores the pathway and influences of the academic ceramicist. UT professors of ceramics, their spouses, and their mentors will all have work on display. Artists included are; Professors Sally Brogden and Frank Martin, and their spouses Todd Johnson and Polly Martin and mentors John and Susanne Stephenson, and Ken Ferguson. An exhibition initiated by UT visiting artist Pinkney Herbert and organized by Memphis arts Organization Delta Axis. In this exhibition “Crave” these six artists use paint and photgraphs to explore craving, yearning, longing for or hankering after. Their diverse work is unified by an attachment to charged images and obsessive processes that speak to this underlying appetite or “craving.” Artist included in the exhibition are, Joel Carreiro, Betsy Chaffin, Amanda Sparks, Thomas Weaver and Brian Wood. 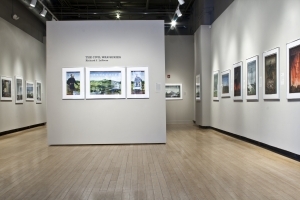 This exhibition showcases an award-winning documentary about the town of Corapeake in North Carolina by Kendall Messick. The exhibit uses oral narratives, black & white photography and artifacts to describe and commemorate the lives led by now-elderly African-American inhabitants of this small rural town. This film has been shown at the Smithsonian Museum of American History, Wake Forest University, UVA and many other reputable venues. 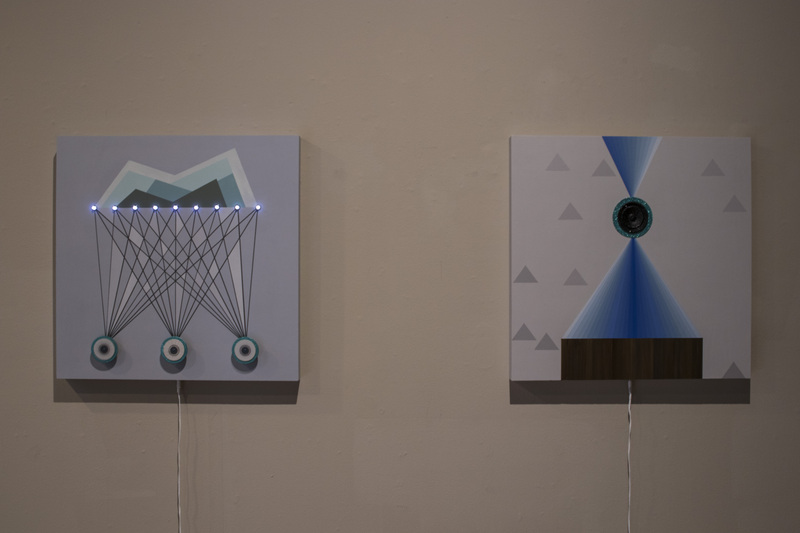 Masters thesis work by graduating MFA candidates in visual art. Seniors in UT’s graphic design program display recent work completed for BA candidacy. This exhibit represents an art exchange with participants from around the country. It was organized by two University of Tennessee Alumni, Lee Marchalonis and Jessica Meyer, and features other University of Tennessee graduates now residing throughout the United States. Schwarzbart is a Judaic artist who lives in Knoxville. He has worked for over eighteen years designing and producing ceremonial objects as well as Donor Recognition Walls and decorative wall pieces for Jewish organizations throughout the United States. Photographic images documenting NYC both pre and post 9/11 by New York native Baldwin Lee. Lee is the recipient of three Guggenheim and NEA grants. Curated by artist and Sam Yates. Andrea Loefke, a Brooklyn, New York and Leipzig, Germany-based artist creates hierarchies in which events and narratives compete and communicate. The groupings of objects and their placement within a particular space become a journey of discovery. Recent works by Pennsylvania mixed-media artist Dan Mills. This group of drawings addresses issues of American imperialism and globalization. Curated by artist and Sam Yates. These artists address issues of animal treatment and exploitation. Inspired by his many trips to India, Boston painter Conley Harris pays tribute to the history of Indian paintings while using it to explore questions of composition, figure/ground relationship and other painterly issues., 2008. AIGA, the professional association for design, creates an authoritative chronicle of outstanding design solutions, each demonstrating the process of designing and the value of design. AIGA’s suite of competitions is widely recognized as the most discerning statement on design excellence today. African American artists Alicia Henry, Nashville, TN, and Damon Howard, Orangeburg, SC, examine issues of identity, heritage and gender in American society. Henry, MFA from Yale University and Howard, MFA from the University of Florida, have been nationally recognized for their poignant art. Although one an abstractionist and one a realist, Knoxville painters Allen Cox and Tom Riesing focus on the “surface” in this exhibit. Curated by Sam Yates and the artists. 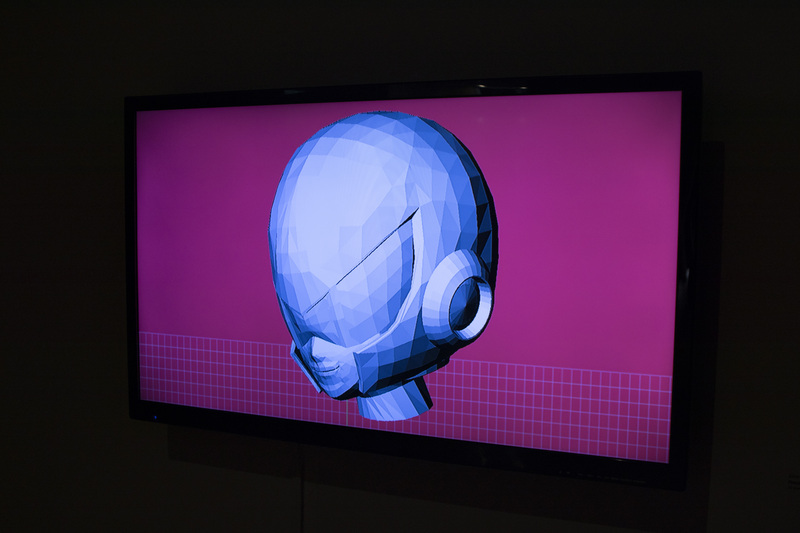 This exhibition will feature new work by graduate students representing all disciplines—2-D, 3-D, and media. The exhibition will be on view concurrently at The University of Tennessee 1010 Gallery. On view will be work from Master of Fine Arts candidates. Every day, Knox County art teachers devote their time and energy to cultivating creativity in their students. The Knox County Art Educators’ Exhibition gives these teachers an opportunity to nourish and showcase their own artistic talents. 324 works of art by 305 Society members who create in various media ranging from traditional Japanese calligraphy and ceramics to contemporary landscapes and abstraction is on exhibit here and in the Ewing. A national juried competition open to artists from all media and backgrounds. Dr. Carl Gombert, Associate Professor of Maryville College was selected as the sole Juror for the exhibition. 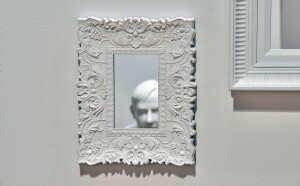 This exhibition featured the work of noted sculptor Michael Aurbach who serves on the faculty at Vanderbilt University. Curated by Sam Yates. This exhibition featured the art of eight East Coast ceramicists. The works on view represent the variety of techniques and concepts found in the ceramics field today. This exhibition featured the photographic work of HoJang Liu, a Taiwanese artist who lives in Taipei. Much of the development for an artwork happens well before the brush meets canvas, the hand meets clay, or the finger meets camera, etc. These preliminary inspirations and concepts go mostly unnoticed and unappreciated. This exhibit brings to light the methods artists employ to inform themselves of the possibilities for their as yet unrealized works. 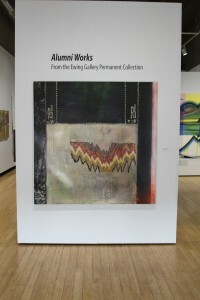 Curated by former Ewing Gallery staff member Timothy Massey, Director of the Tower Fine Arts Gallery at CUNY Brockport. Please Note: The UT Downtown Gallery closes in observance of national holidays and between exhibitions.